It seems like an obvious proposition that a citizen registering to vote or casting a ballot is engaging in free speech, a fundamental right entitled to full protection under the First Amendment to the United States Constitution. This simple proposition is especially fitting in light of the broad First Amendment protection extended to the dollars spent in political campaigns to influence votes. But the current Supreme Court rarely scrutinizes voting regulations as it does other speech regulations. The Court treats spending to influence voters in elections—by candidates, political parties, individuals, corporations, labor unions, and others, including anonymous contributors who might well be international terrorists—as free speech entitled to robust First Amendment protection against state and federal limitation. Any limitations on such speech are subjected to strict scrutiny. Registering and voting, on the other hand, are given short shrift by the Court. Burdens on voter registration and voting are not analyzed under strict First Amendment standards, and therefore the Court has allowed states excessive latitude to restrict voters’ access to the ballot box. The Court should change course, fully acknowledge the expressive nature of voting, and grant voting the same First Amendment protections as the money spent to influence it. 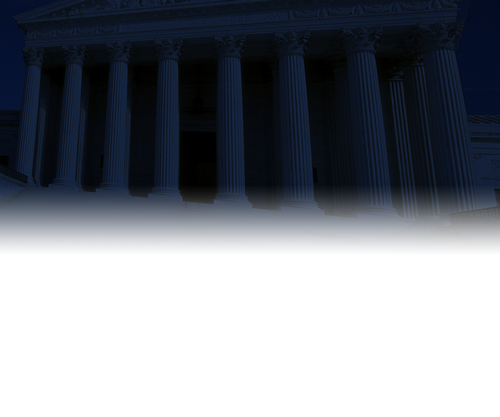 Many commentators have written about this voting rights dilemma, typically observing that (a) the right to vote has been described as “fundamental,” by Congress and the Supreme Court, but also that (b) the Supreme Court and other court decisions analyzing burdens on the right to vote do not give it the protection that fundamental rights ordinarily receive. The commentators propose various doctrinal solutions, such as fully recognizing the right to vote as fundamental, like the right to interstate travel, or treating it as a fundamental right that is modified by a calibrated speech analysis, or locating the right within the Privileges or Immunities Clause of the Fourteenth Amendment. This Essay begins with the two premises underlying other scholarship—voting should be treated as a fundamental right, and it is not—and proposes that we find a source of constitutional protection for voting in the First Amendment. The First Amendment is a logical locus for voting protection for several reasons. One is that the casting of a vote, no matter how it has been parsed in doctrinal discussions, meets the ordinary and commonly understood definition of a speech act. Second, as discussed below, the Supreme Court has not foreclosed the First Amendment claim. The Court has routinely noted that the right to vote is the right to have a “voice” in elections and has already acknowledged the First Amendment implications of voter petitions. Therefore, taking the remaining step of ensuring full First Amendment protection for voting itself would be a markedly less dramatic doctrinal shift than remaking another clause of the Constitution. Likewise, First Amendment protection of voting fits within the Court’s jurisprudence, which has extended First Amendment protection to extraordinarily broad categories of expression. Armand Derfner is a partner at Derfner & Altman in Charleston, South Carolina, and is Constitutional Law Scholar in Residence at Charleston School of Law. He began trying voting cases in Mississippi in 1965, at the dawn of the Voting Rights Act. J. Gerald Hebert is Executive Director of the Campaign Legal Center and also oversees the Voting Rights Institute, a collaborative project of Georgetown University Law Center, the Campaign Legal Center, and the American Constitution Society. He is an Adjunct Professor of Law at Georgetown University Law Center and at New York Law School. Mr. Hebert served in the Civil Rights Division of the U.S. Department of Justice from 1973-1994. The authors have tried and argued hundreds of voting and free speech cases over the past 40+ years in the Supreme Court of the United States and in other federal and state courts throughout the country. The authors currently represent plaintiffs in the pending Texas voter ID challenge, Veasey v. Abbott. We are grateful to Noah Lindell, Courtney Dixon, and Danielle Lang for helpful comments and suggestions. We are also grateful to the Yale Law & Policy Review for careful editing. , 34 Yale L. & Pol'y Rev. 471 (2016).